We’re sociable people up north and the world of social media is like our second home. Social media is a proper punchy way for promoting products, services, offers or competitions. There’s lots of different options and methods of social media advertising and we will help you choose the right ones for the right sorts of things. It’s important to target key demographics to maximise the potential of your adverts. We’ll also create eye-catching banner designs for your adverts. All you have to do is ask. Come and sit round the table with us and tell us what it is you want to push on social media. We’ll tell you about the options available, recommend budgets (we’re not tight) and the best strategies to maximise your campaign. This is where our workers earn their coin. 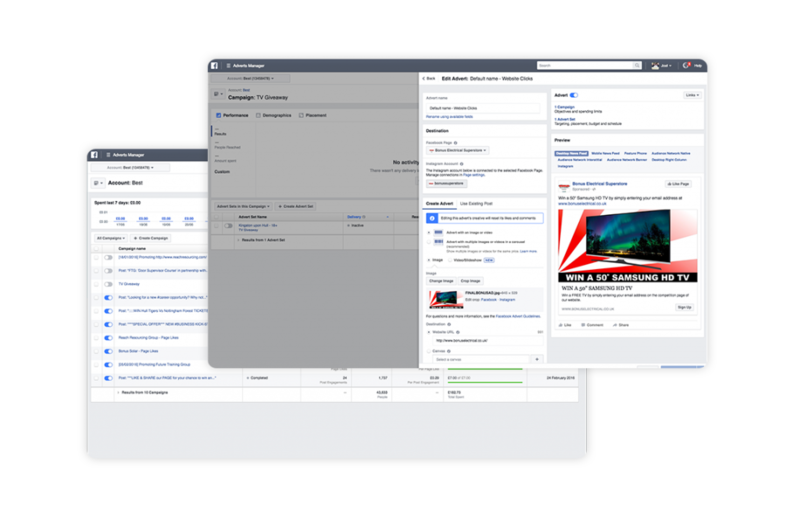 The back-end of a social media advertising campaign is the heartbeat of it. Deciphering the demographics and duration of each campaign, assigning imagery and the right language for each advert is critical. Once it’s been approved, we’ll let it loose. Collating the data from the reports and proactively amending the strategy is part of what we do. Depending on the nature of your advert, your budget and the duration of it, you should begin to generate the results you’ve been craving. There’s nothing worse than a dormant social media page. The inactiveness is almost as if workers have staged a boycott and walked out, thus leaving a bad impression on any unsuspecting visitors. Use our workforce to bolster your social media performance. 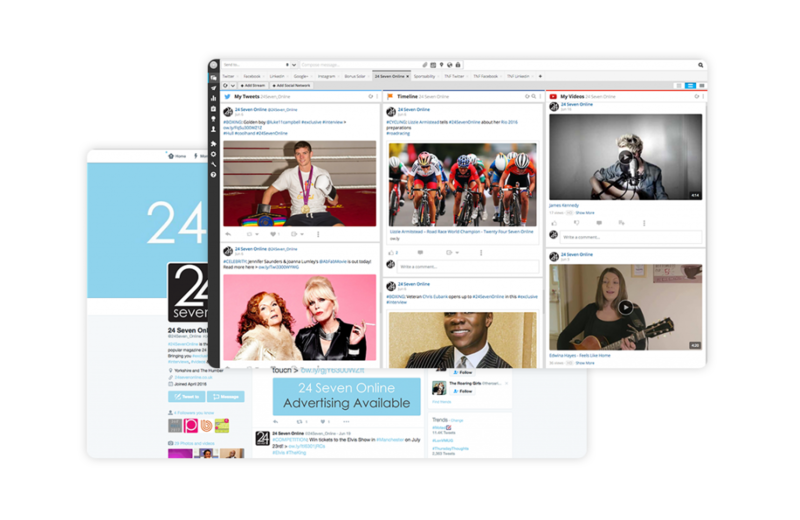 Whether it’s to increase your presence, engagement or activity, our social media management is tailored around you. Social media can bewilder the best of us. Never fear, we are here to make all those social phobias go away by setting-up and managing the whole social media process for you, or alongside you. Choose your platforms, tailor your tone and employ a strategy. When we begin the process, we don’t clock off until all of the copy, text, images and information is to a specifically suited style . Ready to post, and professional, profiles allow us to begin posting thoughtful and engaging content to engage and inspire your audience. Steadily, you will gather more impressions and followers across your social media pages. We’d also hope to see an increase in engagement and participation from them. We will reply in a friendly manner to any incoming messages and notify you of anything significant too. We’re nice like that. 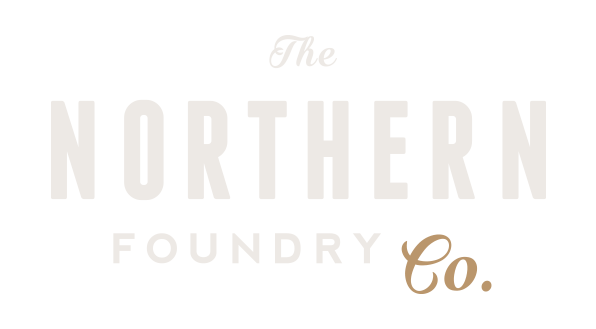 The Northern Foundry: a place of creation and skilled operation.